Menswear label WOOYOUNGMI continue their artist collaborations for each campaign with this latest one by Clemens Krauss. Titled 'Laughter and Value', 2012, oil on canvas, 190 x 140cm. Each season WOOYOUNGMI will collaborate with an artist to support their work and allow them to interpret the season's collection. 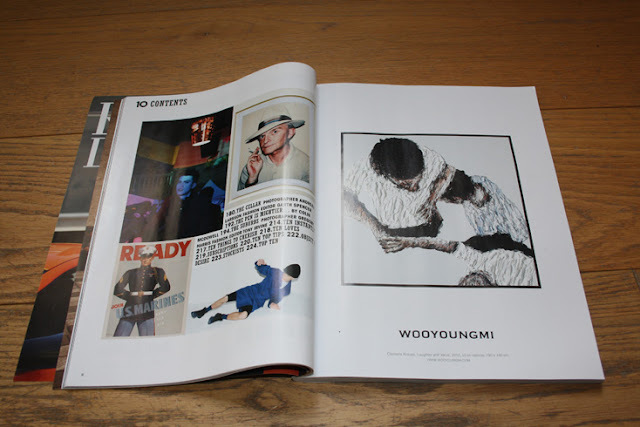 The artist will not only produce a piece of work that will become the print advertising campaign but also exhibit their work in MANMADE WOOYOUNGMI. 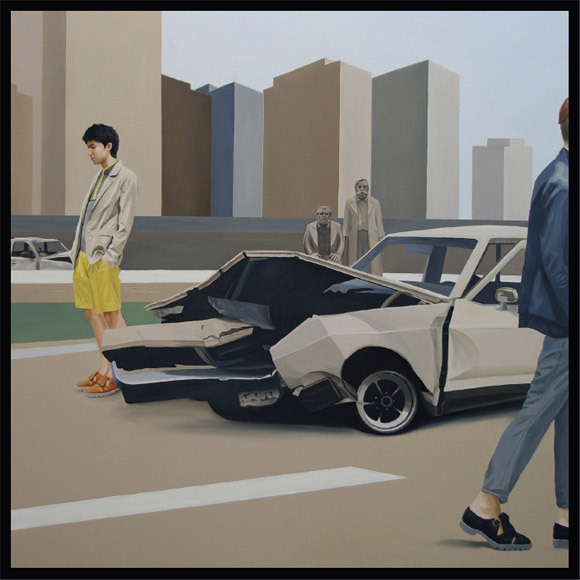 These are only the first two in the running series, I absolutely loved their last campaign artwork by Lee Song (below) 'Around The City' (detail), 2011, oli on canvas, 162cm x 130cm and the slight nod to Ed Hopper, one of Lee's favourite artists. The whole concept of how modern man lives all isolated without fulfilling the needs of being attached in a group and being loved, which is the third stage of the psychologist Abraham Maslow�s hierarchy of needs theory, is what WOOYOUNGMI 2012 A/W Collection and Clemens have in common in their work. Clemens Krauss distinctively painted those modern men living their lives alone and isolated as they are not being loved and alienated from their busy lives with family and co-workers, with his very thick impasto depictions and has thrown a big question mark for the solutions for recovering from everyone�s suffering. Lee Song, one of Korea's current rising artists, was chosen as the first collaborator. The WOOYOUNGMI designers Woo Youngmi and Woo Janghee not only admire his unique style of simple line with sophisticated detailing but also connect with his approach to his work. 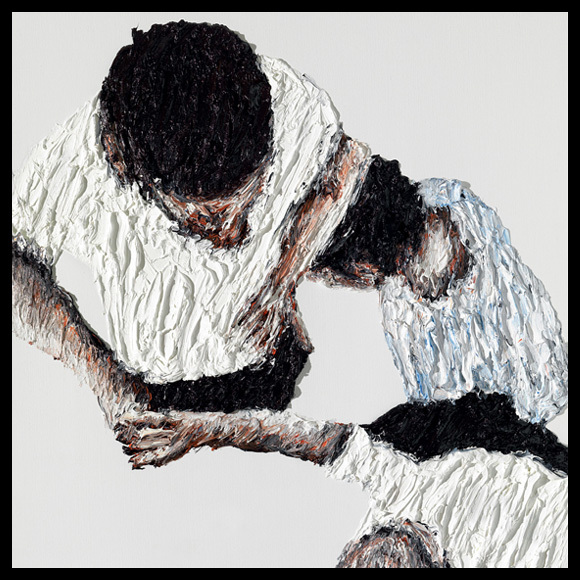 In the short conversational film entitled Let Me Eat Cake both artist and designers express their desire to describe and heal their contemporary through their work. Both are examining the modern world and its ongoing daily routine. They would like to offer something to their viewer / customer as a break from the habitual. Fashion and art are not vital to our existence but through them we can taste a different outlook.